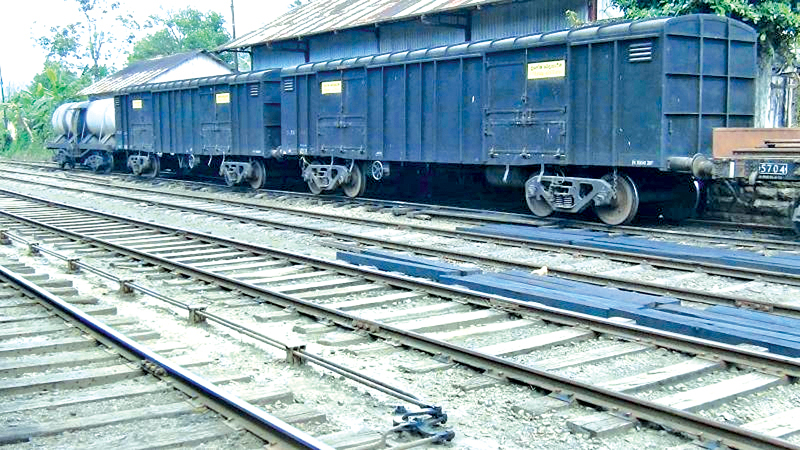 Twenty five tons of Triposha dispatched by train by officers of the Rajagiriya Factory to the Badulla District Health Services Office for distribution among expectant mothers and low weight children in Badulla district have been lying idle in two goods compartments at the Kotagala Railway Station for the past two weeks. The stock of Triposha had been handed over to the Railway Department on October 3 for dispatch to Badulla. As two months had passed since handing over the consignment to the railways any further delay may cause the entire stock to perish, public health officials said. They said Triposha should be consumed within a period of three months after dispatch from the factory and as such, it should reach the beneficiaries at least two weeks before its date of expiry. The station master at Kotagala on inquiry, said he would take steps to dispatch the consignment as soon as he received a railway engine and driver.